Space, the final frontier: Dantooine. Dantooine is a remotely located planet, and throughout galactic history it has never had many people living there. It is one of the few planets that actually resembles Earth in the Star Wars universe, yet it never developed any large, inhabited colonies. It might seem counter-intuitive then to think it will be included in SW:TOR. There is nothing there of interest to anyone! What interests me the most about Dantooine, is its representation in the games preluding TOR. Both Knights of the Old Republic games, AND Star Wars: Galaxies had Dantooine present in the game. With SW:G being a tad bit irrelevant to the current story, in KotOR this was the location of the Jedi Enclave, where Revan got back in touch with the Force, which Malak bombards from orbit. In The Sith Lords, the council reconvenes in the ruined Enclave only to get killed by Darth Traya. So, with such a rich history in the Old Republic era, this planet is my best guess to see added after the game’s release. The first expansion at the latest. To infinity, and beyond: Csilla. Csilla is another very likely addition to the game after launch. 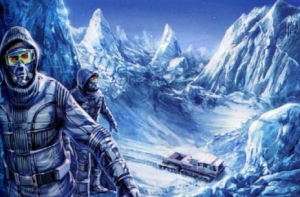 The planet has been locked in an ice age for over a millennium during SW:TOR so it will be comparative to Hoth in the way it looks and feels. But, unlike Hoth, Csilla is inhabited. It is actually the capital world of the Chiss, the blue skinned humans who are playable on the Empire side. So far, of the playable races, BioWare has only included Korriban and maybe Coruscant as ‘origin’ planets for species; the Sith Pureblood and Humans (even though there is no recorded history available any longer of the original home of Humans, it is widely assumed that it must be Corsucant). Other planets that could be added by the same train of thought, are Aplheridies (the Miraluka), Mirial (the Mirialan), Rattatak (surprise, the Rattataki), Ryloth (the Twi’lek) and Iridonia (the Zabrak). Yet Csilla stands out more for me, and that is because of its location within the galaxy. It lies in the Unknown Regions, left and down from Ilum. And Ilum is so far the only planet in the entire area of the map there, so it must be an area to place many new planets, and Csilla is just one of those planets already there. Let’s just say, nobody believes in anyone with glowing eyes and a snake in his head: Yavin. 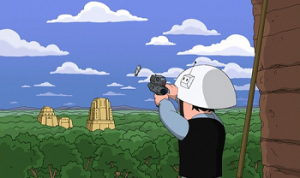 Ok, not Yavin itself, but one of its moons, #4 to be exact. You all know it. It’s the jungle moon almost blown up at the end of A New Hope. Of course, that happens 3700ish years into SW:TOR’s future. So why would we include it in the game besides it being one of the most iconic places from the movies? Yavin, or at least that bloody moon orbiting it, has a very rich Sith history attached to it. I’m not going to bore you with the complete chronicles of Exar Kun, but suffice to say is that the temples you see jutted around the planet during the outdoor scenes of A New Hope are not all empty. One of them is the actual tomb of the Sith Lord who started a war 40 years prior to KotOR, and other Sith Lords before Exar Kun have a connection to Yavin IV. All in all, the Empire might want to grab some of the lingering power for itself, and the Republic will be forced to stop them. Another great addition to the Star Wars : The Old Republic if you ask me. 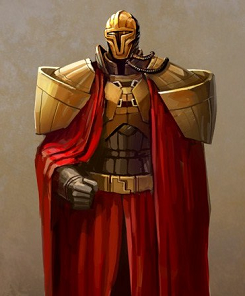 The Mandalorians have been heavily featured in TOR’s lore and backstory so far. In KotOR and TSL you were actually traveling with one of the many Mandalore, the leader of all the Mandalorian clans. During the war between the Galactic Republic and the Sith Empire, the Mandalorian Blockade was one of the most influential events, and had it not been for Hylo Visz it would have meant victory for the Empire. The current state of the Mandalorians is unknown, or at least uncertain, and they still have a long storyline to resolve concerning them. It is very likely that this storyline will progress naturally to the place where their culture began, and its location roughly halfway between Coruscant and Dromund Kaas might make it a prominent battleground between the factions to see whoever gets to ally the Mandalorians next. There are many other planets they can add, and many more that do not even exist yet. They might add Kashyyyk, home of the Wookiees. Or Naboo, Bespin, Mustafar, Geonosis and Dagobah, all featured in the original movies. As long as they leave Endor and the Ewoks out of this game. If that were to happen, millions of voices would cry out in terror, and suddenly be silent. Great article! I am also wondering what planets they will add in future expansions. Geonosis would make another great area for PVP, like they are showcasing on Tatooine. I just found out about that series this past weekend. Science channel had an all day marathon. How did I miss that series till now? 5. Doctor Who (though, personally, I wear a fez now, fezzes are cool). Anyway, you make good points. Though I think Kashyyk is more likely than the home worlds. (Maybe in a Czerka-themed arc? After all, all that slave trade must have been very profitable for the company, it would be no wonder if they eventually decided they wanted it back). 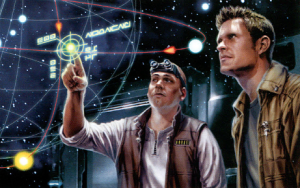 Most of all, I just hope you’re right about Dantooine and Yavin 4, with all the Jedi/Sith stuff there, they would make for some nice JC storylines (which will probably be my main).